Tired of the same old take-out? Freshen up your diet! You may be wondering, “Where are the best farm to table restaurants near me?” At Dennis Dillon Kia, we’re passionate selling new cars at great prices, but we also love local cuisine, which is why we’re here with some of the best farm to table restaurants in Boise, ID. Find out more here, then make the trip from Nampa or Caldwell to check out these hotspots for yourself! Located in the heart of downtown Boise, Fork is a favorite farm to table restaurant that sources many of their ingredients from local farmers, ranchers, bakers, cheese makers, and more. Serving up New American cuisine for brunch and dinner in a laid back rustic-chic environment with craft beers, wine, and cocktails, this spot is not to be missed. Owners Anne-Marie and Michael Trebbi met in culinary school, and share a passion for good food. They opened Wild Root in 2015, and Michael remains actively involved as the head chef. Enjoy incredible, locally sourced food for breakfast, lunch, or dinner, and make sure to check out their catering and order-out options as well! Just down the street from Wild Root, Juniper is a hip, brick-walled joint with locally sourced food and a unique available “Chef’s Table” communal dinner. Chef’s Table lets you share five delicious courses made just for your group! 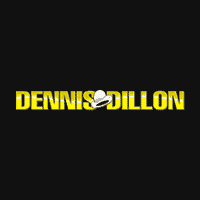 Find the Best Restaurants Near Meridian with Dennis Dillon Kia! Dennis Dillon Kia is your certified Kia dealership near Twin Falls and Ontario, OR! We have an expert team that can help get you behind the wheel of a new Kia—and to some of the best places to eat from Caldwell to Boise! Follow us for more fun, food, and culture around Boise. Sop by our dealership today or contact us online!